« Etruscan horse on display at the OG People’s Garden Tour June 24.
a. Your view across Wesley Lake will change beyond its current skyline look. A 60 unit apartment complex will be built at 545 Lake Avenue in A. Park. The developer is Sackman Enterprises; the same people who own the brick pizza building on Main Avenue in OG and who wanted to add a third floor. Currently the AP project awaits some permits. Setting up for the 36th annual craft show. 6:55 am. It looks like Genghis Khan and his horde have arrived. Hide the women . No “no parking” signs lead to “bedlam on Ocean Pathway.” June 16, 2018. Photo by Norm. Special to Blogfinger. © Click to enlarge the congestion. b. There was “chaos” early this morning on Ocean Avenue (craft show) as somebody (? Neptune Twp) forgot to put up the no parking signs. How much money is made by the Camp Meeting Association, sponsors of this event? Well, if the Bradley Beach Lobster Fest is any guide, the BB’s expect to make a profit of $40,000 not counting expenses. The OG event probably makes more because of 300 vendors renting spaces. In the case of Bradley Beach, the town makes money from their mega-event, whereas Neptune doesn’t get to share in or run the craft show. What do the citizens of OG make from hosting this and other huge events ? After all, those who live here are really the hosts of all these tourists, and the residents bear the parking gridlock and congestion more than anyone. Events like this turn the residents into prisoners. The CMA may own the land, but they lease the land to the residents, so who should say whether these huge events belong here—the residents, the Township, or the CMA? 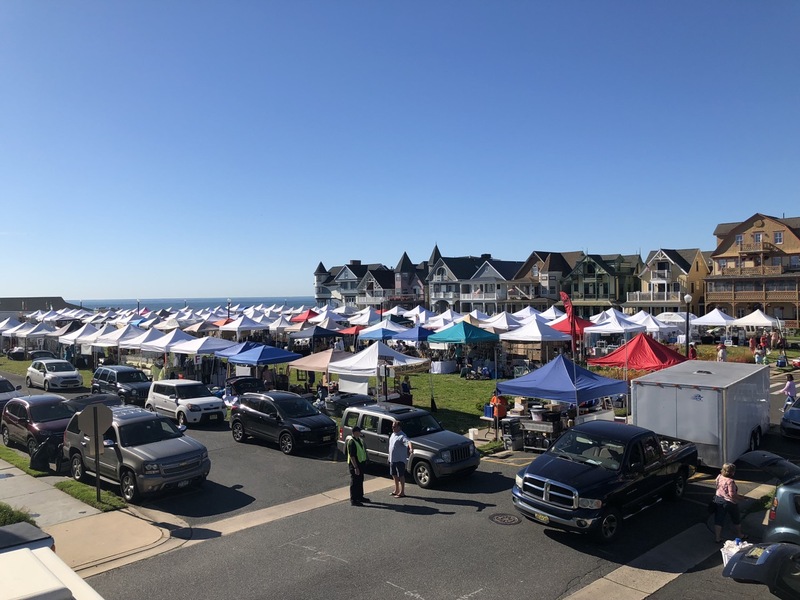 c. Ocean Grove almost had its beaches shut down due to coliform bacterial counts last week, but other beach towns along the Jersey Shore had similar results. A quote in the APP says, “The Shore needs to restore some semblance of the natural order, in which water soaks into the ground where it lands rather than being funneled elsewhere,” experts say. “That’s tough, tough, tough to do when the area is already urbanized,” said Susan Libes, director of the Environmental Quality Lab at Coastal Carolina University in Conway, South Carolina. Will this be approved in time for Christmas? I think that our town would rather the weekly renters that can afford a vacation, over those who are renting a room with Section 8 – from those house owners who can’t afford their taxes because they were denied the right of using of Airbnb. Air BnB is already permitted in Ocean Grove . All you need to do is get a Mercantile license …Get a summer CI and then pay 15 dollars everytime you change the person. So what is being introduced? If you do not have a CI for any rental whether it be Air BNB VRBO etc. or notify your insurance company there will be renters on the premises If there is a fire or accident on your property or in your house Your insurance company will not cover you ..